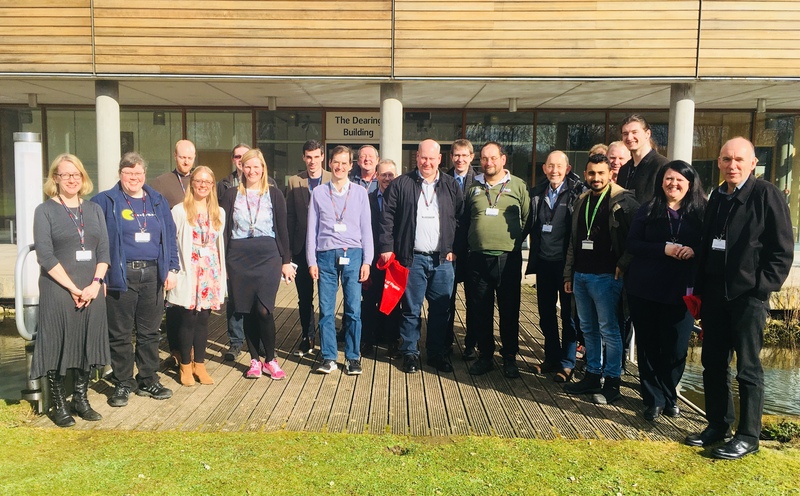 On 7th March, a contingent of technical staff from the School of Physics and Astronomy at the University of Nottingham attended a UK Technicians in Physics meeting hosted by the Institute of Physics (IoP) on our Jubilee Campus. Founded in 1874, this was the Institute’s first such event dedicated to Technicians in its 144 year history, and offered a fantastic opportunity for technicians working in physics and related areas from around the country to meet each other and the IoP, and to help the IoP shape their support for the technical workforce. Attendees were treated to an excellent presentation by David Wilkinson, visiting fellow at Nottingham Trent University and former project manager in the UK Home Office Scientific Development Branch which highlighted some of the incredible areas of Physics research and commercialisation in which technicians play an instrumental role; from drug sensing honeybees to instrumental components of the ATLAS experiment at CERN, David captivated the attention of all those present. Post-lunch sessions consisted of an in-depth introduction to the IoP and its support for the Technician Commitment, led by the Science Council and the Gatsby Charitable Foundation, concluding with a consultative workshop on IoP activities for the technical community, during which the Institute undoubtedly received rich feedback on the issues facing physics technicians on a daily basis. The School of Physics and Astronomy at the University of Nottingham is incredibly fortunate to have a truly world-class technical workforce, operating at the highest levels of expertise in areas encompassing nanofabrication to cryogenics, vacuum systems to mechanical and electrical workshops and much more besides, offering day-to-day support that is utterly instrumental in facilitating the high-quality research and teaching output that the School is renowned for. I am incredibly proud of my team and the work that they do, and am excited at the prospects that the IoP, the Technician Commitment and other initiatives can offer to the Technical workforce, both here at Nottingham and in the wider world of physics. I would like to thank the Science Council and Stephanie Richardson from the Institute of Physics for organising the event, and look forward to more such opportunities in the near future. For further information on Institute of Physics activities and resources for technical staff please contact Stephanie Richardson (stephanie.richardson@iop.org). For further information on the Technician Commitment please contact Kelly Vere (k.vere@sciencecouncil.org). Nick Botterill is Facilities and Technical Manager at the University of Nottingham and heads up a technical workforce of some 20+ staff, providing support to Nottingham’s research and teaching activities in Physics.